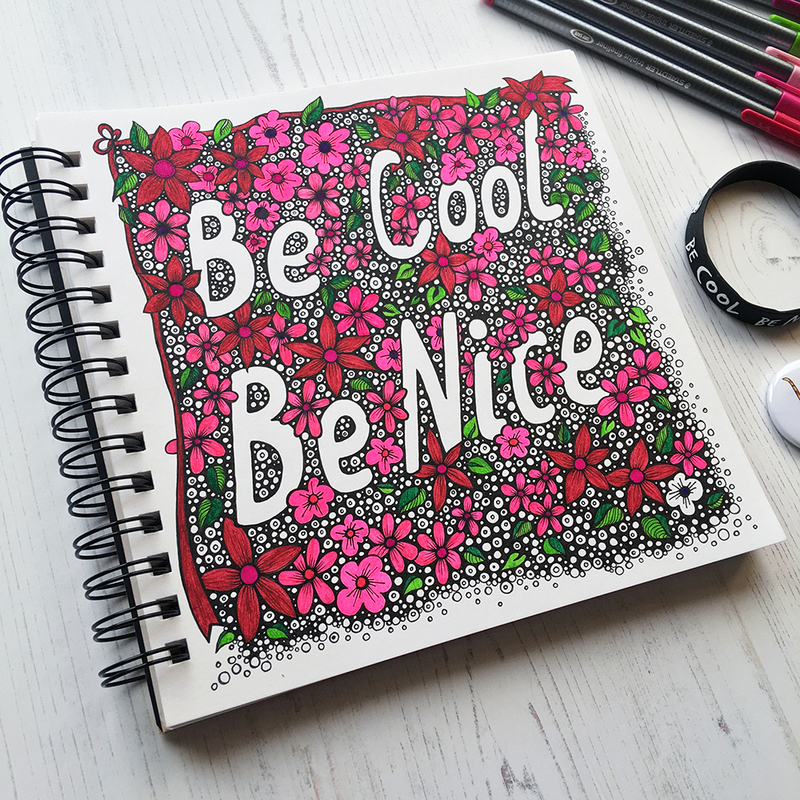 I recently created some hand lettered doodle art in my sketchbook in support of the @becoolbenice initiative after having received the book and starter pack from them. This fantastic project is aimed at supporting and teaching teenagers how to navigate social media in a way that is positive, inspirational and above all, happy and stress free. This is very important to me. Though my daughter is only 12 and not on social media, I have seen too many kids damaged by it. So, it’s important young people are encouraged to learn to navigate social media safely and respectfully. 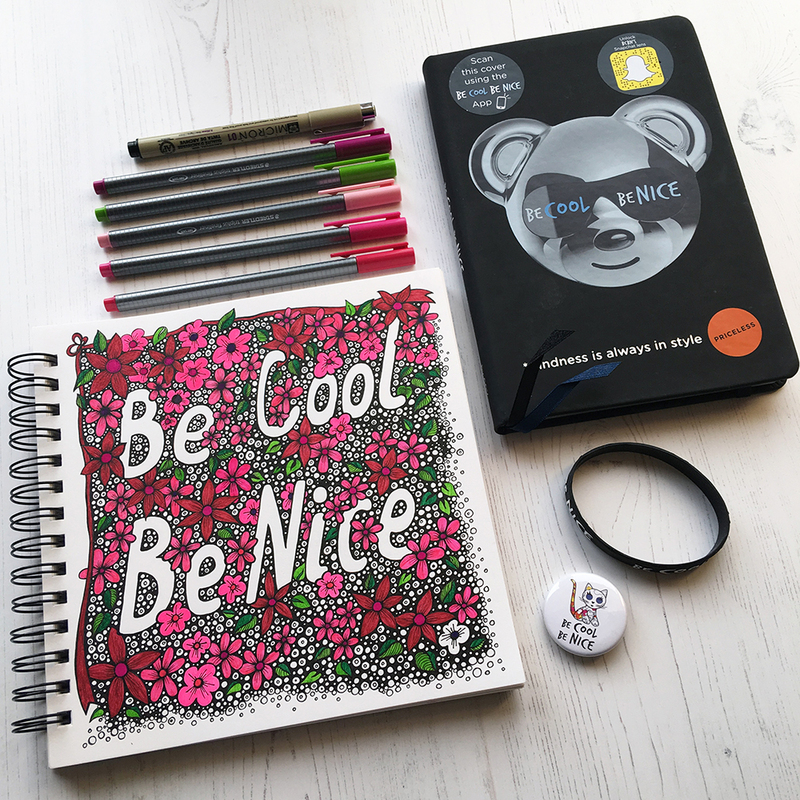 Please check out the awesome peeps at Be Cool Be Nice for this amazing pack and the #becoolbenice book, and head over to the @becoolbenice account on instagram and check it out. 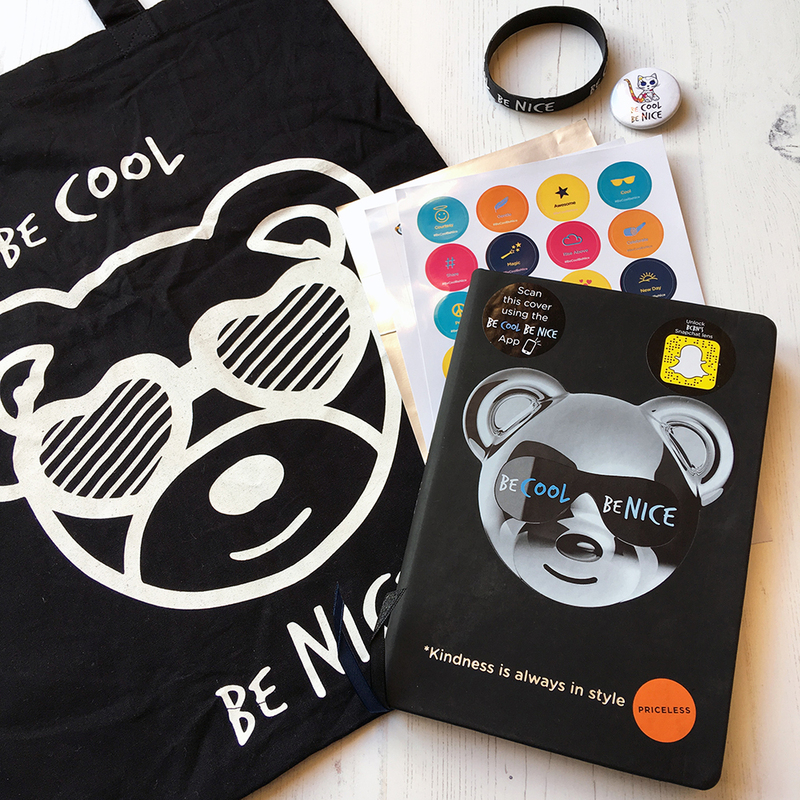 It’s important young people learn to navigate social media safhttps://o.ello.co/http://www.becoolbenice.org/ely, respectfully. 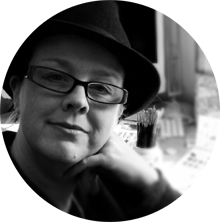 Help to make social media and ‘anti bully zone’, and one this is inclusive, positive and fun.